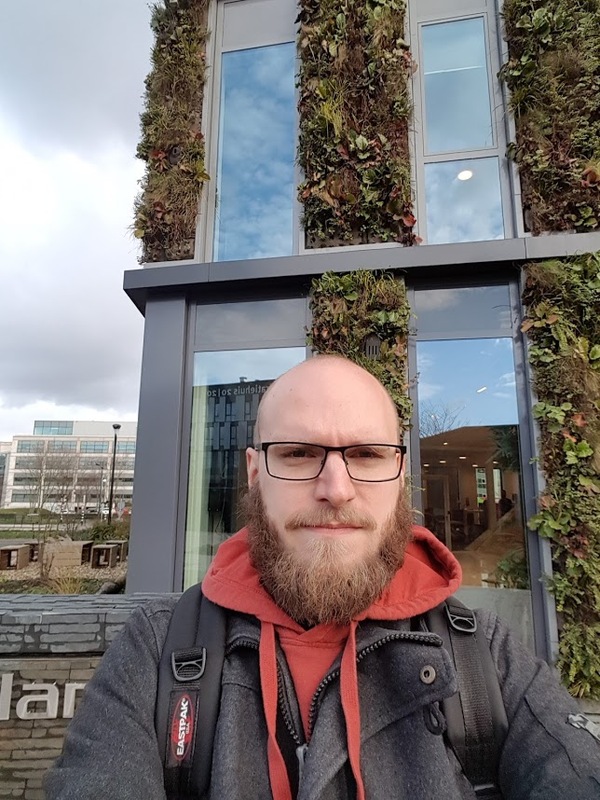 28/11/2017, LifeisXbox was invited for the Plantronics gaming press event in The Netherlands. With an office tour, press conference with the RIG product portfolio and a hands on experience. Read about how Dae Jim experienced this day! 06u15 | Despite the early morning I was pretty excited to get up and start the day. After feeding my dogs, making sure I didn’t smell and checking my social feeds I started the journey to Plantronics. 09u20 | Arrived in Antwerp, waiting for the Thalys train. 10u30 | After meeting someone from Invader (Belgian online magazine) we find our cosy seats on the train towards Schiphol. 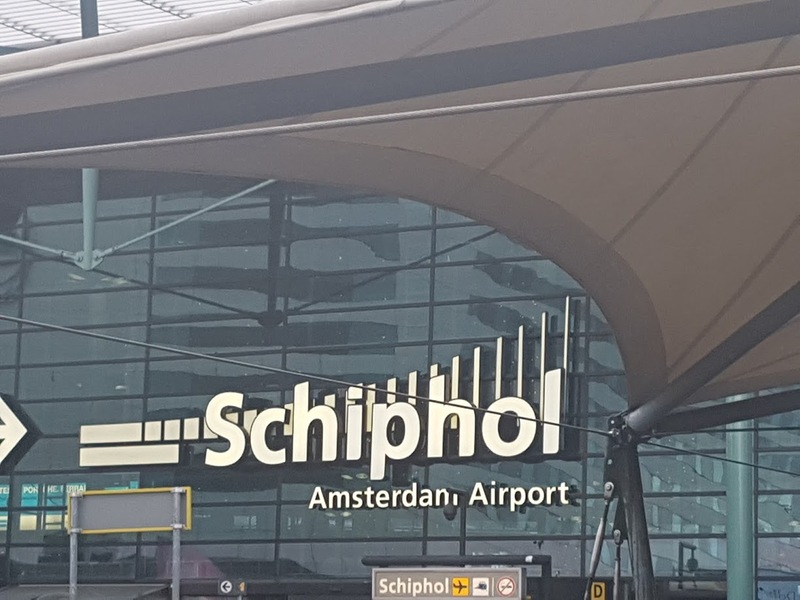 11u37 | I finally arrived at Schiphol, this train and airport station is really impressive but sadly no time to check it out. We don’t want to miss our appointment after all. 12u00 | After receiving our visitors pass and getting a warm welcome by the Plantronics people we are invited to grab a bite to eat. Sandwishes with cheese (and lots of garlic.. mmmmm!) Roastbeef and more. 12u38 | Having filled out our stomachs the tour around the office starts, it is immediately obvious that no money was spared to have a great working atmosphere, the place is full with nuances towards sound too. All very impressive and nothing like I’ve ever seen. 12u42 | It starts with a little history lesson, Plantronics was actually the supplier for NASA and was founded on 1961 by two adventurous pilots. The famous sentences “The Eagle has landed” and “… One giant leap for mankind” were transmitted through Plantronics equipment. This was called the Snoopy Headset. 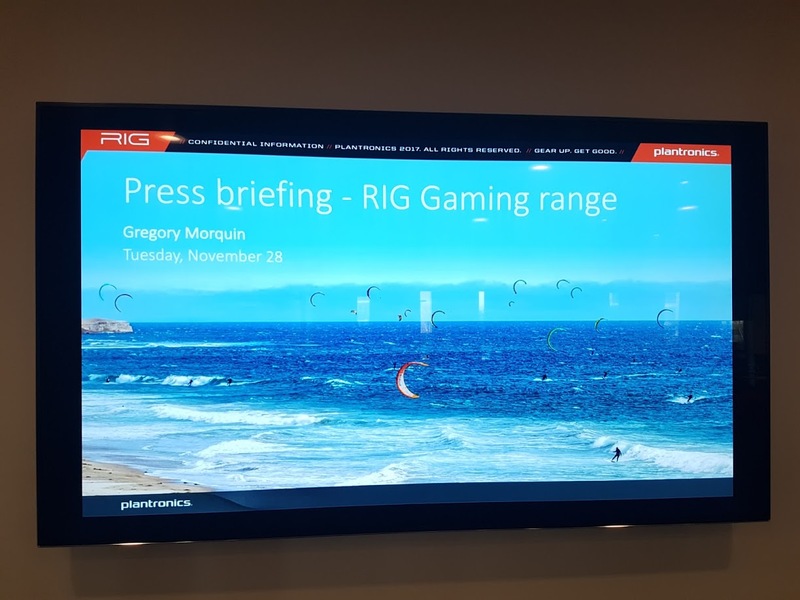 13u20 | The interesting office tour has ended, we are invited by Gregory Morquin (Gaming Segment Manager EMEA at Plantronics) for the RIG product portfolio speech. This friendly French dude with good English (for real) explains in full detail what the inspiration for the RIG headsets is and how it benefits gamers. He also explains Doly Atmos and why the sound experience is so different and great. 13u59 | Time to get some hands on with Dolby Atmos and the RIG headsets. Overwatch is the first game I test, one thing I notice is how comfortable the RIG headsets are for people like me with glasses. Next game is Star Wars: Battlefront 2, it is honestly a great experience and very immersive with Dolby Atmos. We might have heard a lot of talk about how great it was, but actually experiencing it is something totally different. 15u20 | The hands on experience is over and an enjoyable day at Plantronics is coming to an end. The way home is long but it was really worth it. 21u01 | Back home, I unpack my officially licensed review RIG 800LX for Xbox One. 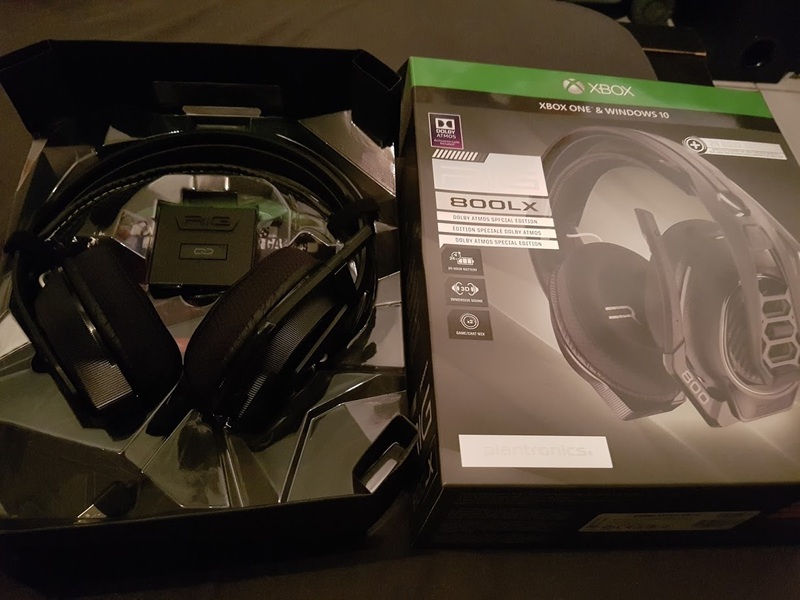 The packaging is nicely done (as you can see in the image), while it might not be a reason to buy this headset it is pleasant to see that Plantronics spend love and attention to packaging too.